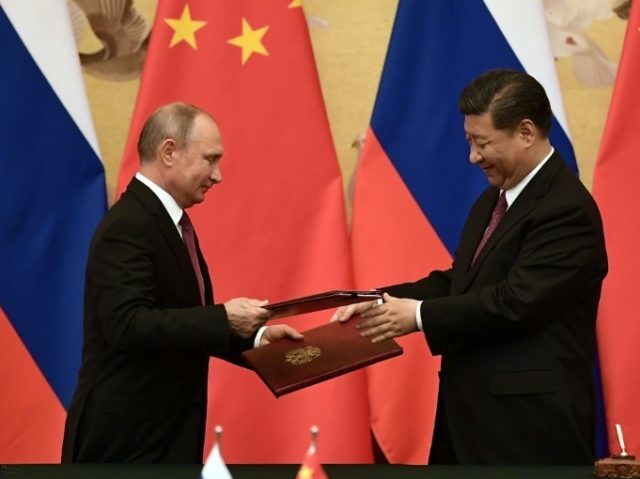 Qingdao (China) (AFP) – Russian President Vladimir Putin on Sunday dismissed criticism by the Group of 7 nations as “creative babbling” and said it was time to start cooperating again. “I believe it’s necessary to stop this creative babbling and shift to concrete issues related to real cooperation,” Putin told reporters in the Chinese city of Qingdao, when asked to comment on a G7 joint statement. He also said the G7 countries had “again” failed to provide any evidence that Russia was behind the poisoning of a former double agent and his daughter in Britain in March. G7 leaders demanded Saturday that Russia stop what they described as attempts to undermine democracy and support for the Syrian regime as they closed the door on Moscow’s readmission to the club. The G7 endorsed Britain’s accusation that Moscow was behind the poisoning attack in the southwest of England on former double agent Sergei Skripal and his daughter Yulia. “We share and agree with the United Kingdom’s assessment that it is highly likely that the Russian Federation was responsible for the attack, and that there is no plausible alternative explanation,” the G7 statement said. “Everyone demonstrated solidarity with London over a certain event in Salisbury but nothing concrete was said again,” Putin said. The statement made no mention of Russia being invited back into the group from which it was kicked out in response to its 2014 annexation of Crimea, despite US President Donald Trump’s insistence that the club would be better off if it brought Russia back into the fold. Putin said it was not Russia’s decision to quit the G7, saying he would be happy to see G7 leaders in Russia. The Kremlin leader did not miss an opportunity to thumb his nose at the club of leading industrialised democracies, saying that the combined purchasing power of the Shanghai Cooperation Organisation —which includes Russia and China — outstripped the G7. At the same time he downplayed tensions at the acrimonious G7 meeting in Quebec City, after Trump disowned the joint summit statement and lambasted Canadian Prime Minister Justin Trudeau.